Improving the livelihoods and incomes of smallholder coffee farmers by delivering accessible advice for farmers to improve their crop quality and yield. Coffee is a global commodity with growing demand globally, with revenues directly benefitting farmers in developing countries. Despite this, in Kenya and Rwanda 67% and 80% of people respectively live in poverty, including most smallholder coffee farmers. Easy access to information on management practices and weather and nutrient monitoring can drastically increase earning potential by improving coffee quality and quantity. Coffee farmers must make critical decisions, such as whether and when to apply fertilisers, pesticides or fungicides at potentially short notice. Correct, early advice makes a huge difference to the effectiveness of these decisions and enables improvements in the yields of high quality coffee which increase incomes. ACCORD provides farmers with access to timely, geotargeted advice through a simple mobile application. 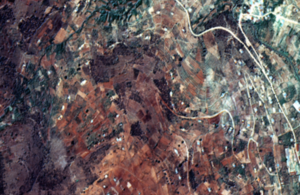 The unique and proven method employed by the consortium combines satellite imagery with ground observations, and a custom high-resolution localised weather forecast model, in a cost-effective manner. All the data is integrated and analysed to create clear advice through the mobile-enabled platform to agronomists, cooperatives and farmers. Access to this advice is not available at scale through any other method. Acquire relevant satellite data and process it to provide the information needed for the service. Engage wet mills and cooperatives to provide tailored advice and forecasts to farmers. Provide mechanisms for lessons learned and M&E knowledge to feed back into the project. Run a well-managed and orderly project with full financial and operational transparency.